ASICS Japan have announced their second line of sneakers in a series of collaborations with Mickey Mouse and Minnie Mouse. 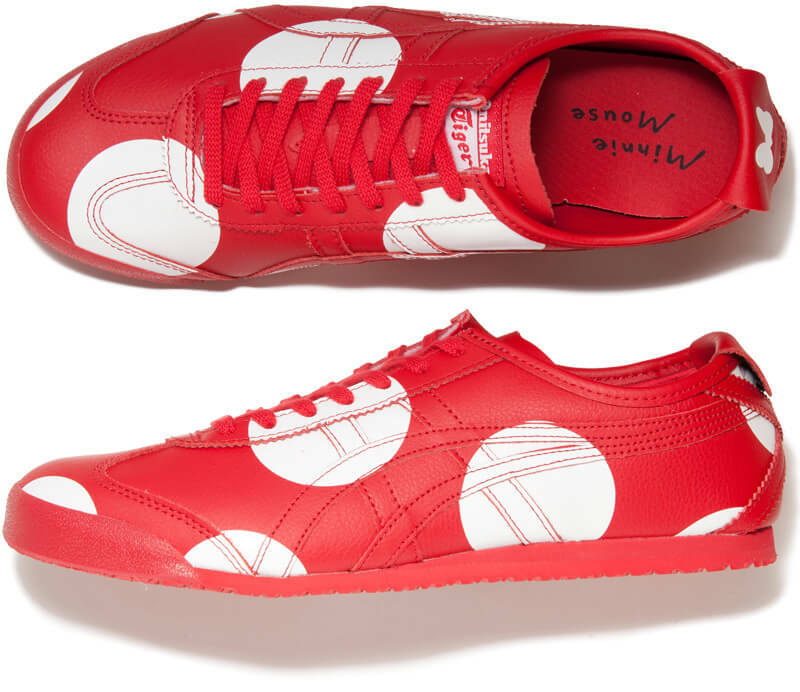 They will be released under their Onitsuka Tiger brand. Check out the first line here. 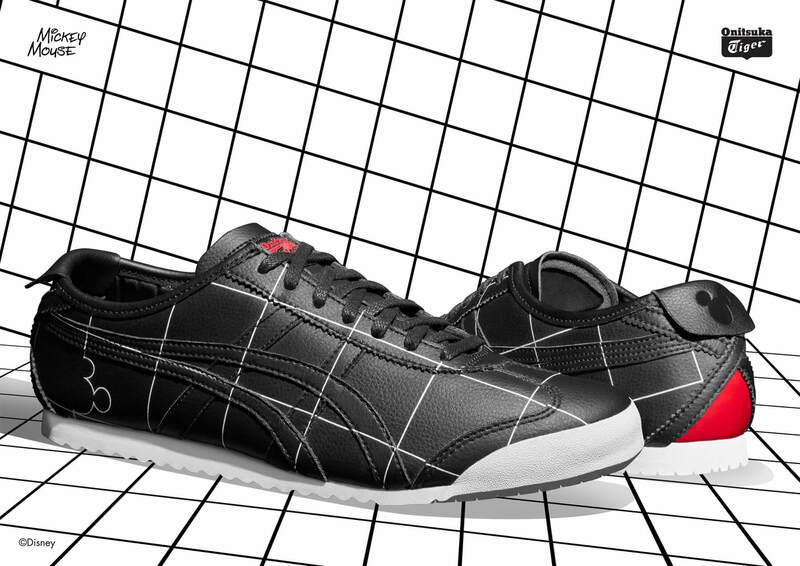 Two separate pairs for adults and children will be sold directly from Onitsuka Tiger stores in Japan and their online store from May 12. The manufacturer’s suggested retail price is ¥15,000 (+tax) for the adult pair and ¥11,000 (+tax) for the children’s pair. 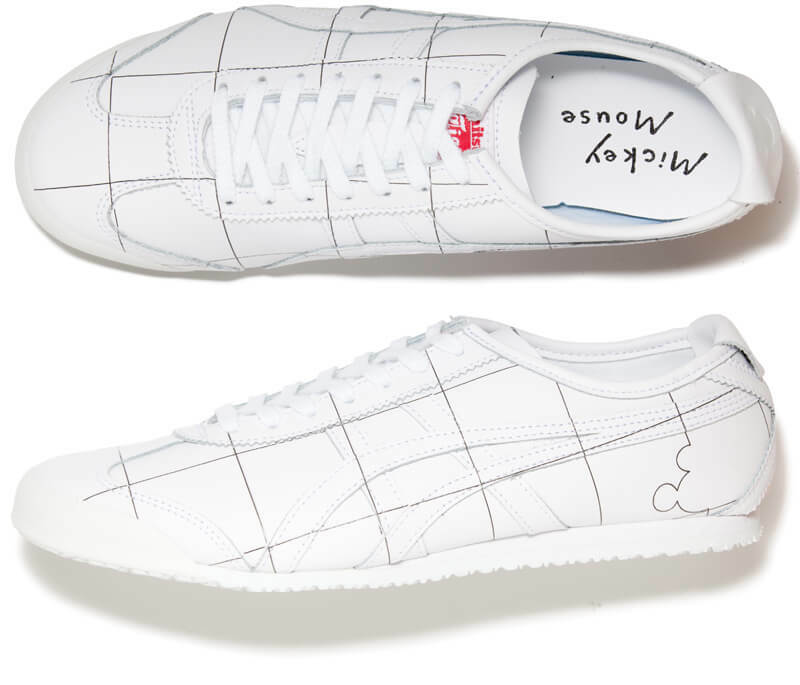 The base for the shoes uses the brands’ representative MEXICO66 model which is decorated with iconic Mickey & Minnie designs and marks. Parents and children can enjoy wearing their own pairs together to match. For the Mickey Mouse type the upper incorporates a grid pattern. 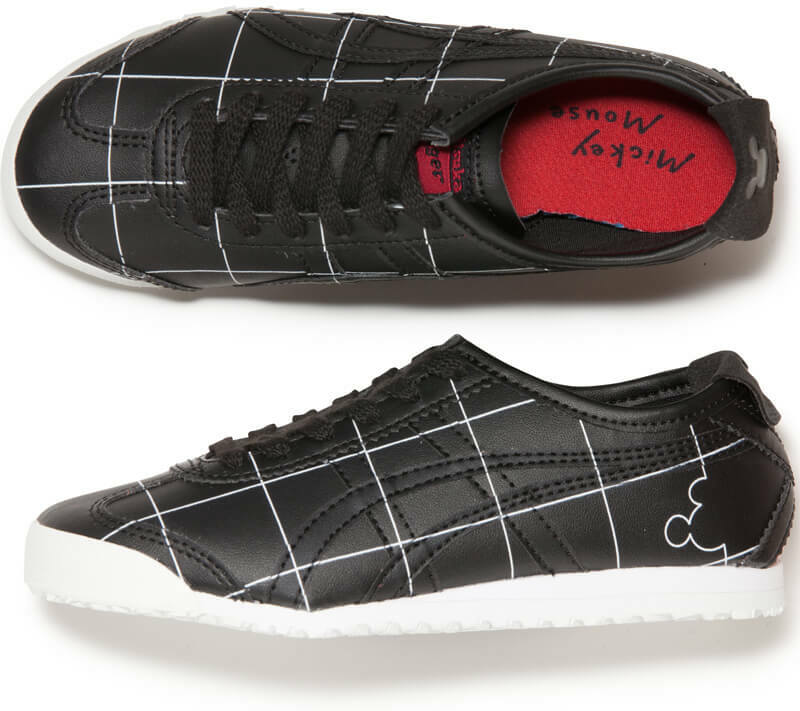 The heel flaps have a silhouette of Mickey drawn on while the heel has a sketch of him. 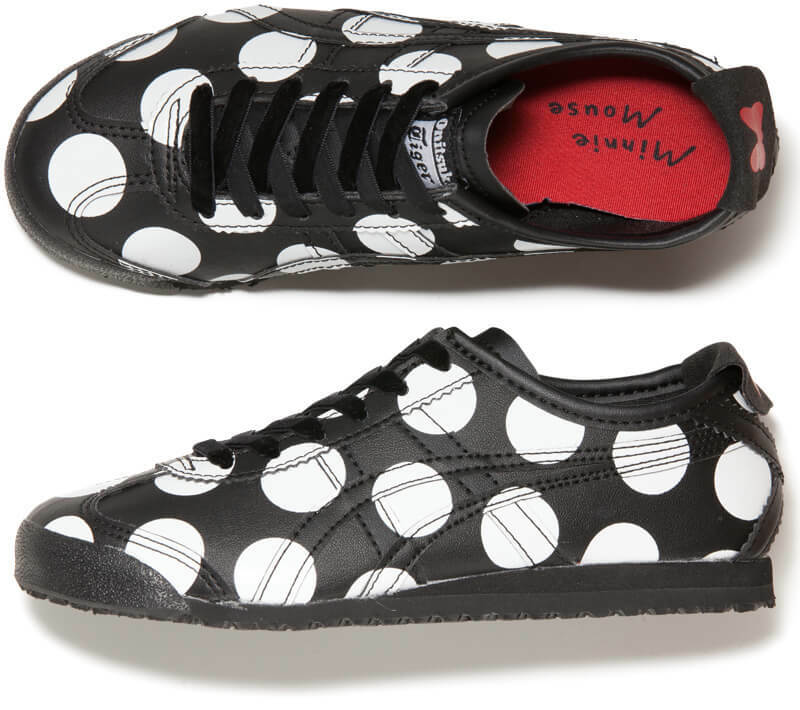 This pair comes in black and white. The Minne Mouse type has Minnie Mouse’s ribbon and hat on the entire upper in a polka dot design. The heel flap also features a ribbon. This pair comes in red and black. Disney and sneaker lovers won’t want to miss this special collaboration. Grab yourself a pair and look the part!